I love it, my friend! And I haven't been to a wedding in so long that I'm not sure if I can offer any suggestions on what else to include! Brilliant! What a sweet and unexpected gift to give. So practical and adorable. I am sure it will be a big hit! 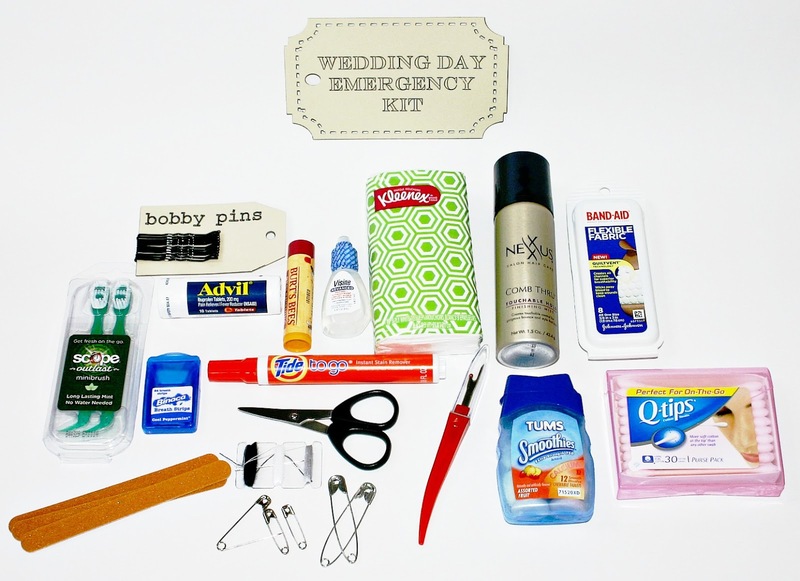 Not that you have any additional room but shockingly, the go to item I needed on my wedding day...wet wipes. I had a red rose bouquet. The bouquet kept leaving red marks on my white dress. The photographer told me to use wet wipes and believe it or not, it took the marks right off. What a great (and thoughtful) idea! I remember being so anxious on my wedding day about the possibly mini-crises that could happen. A kit like this will be well-received, I'm sure! Oh this is the perfect gift to make and give a bride! I think you've thought of everything too! love it and pinned it! What a great idea! I have a catering business and this would be great to have on hand for emergencies, bridal parties always come to the kitchen when they need something! Perhaps clear nail polish or even a small bar of soap for stopping a stocking mishap. I'm visiting from the Bee hop. 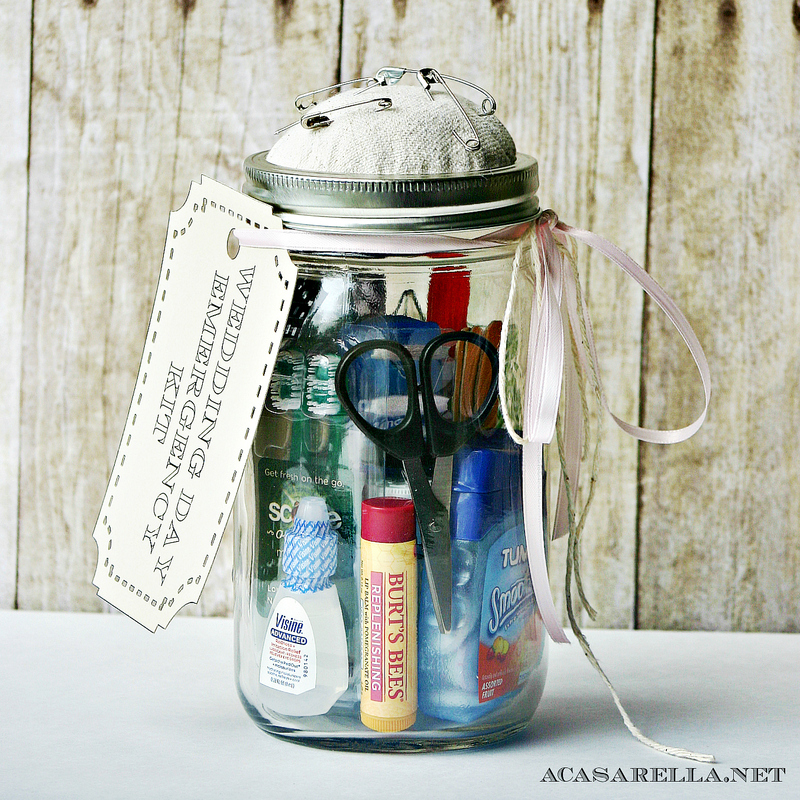 This jar of goodies is toooo cute. Great idea. I'm also a new follower. Your blog is great. Hope you will visit my blog and hopefully want to follow back. Also my blog party is going on now and I'd love to ave you link up with us. Thanks, Angel! I'm heading over to your blog now! As a wedding photographer I can tell you this is a wonderful idea! I carry a lot of these items with me in my camera bag. I've used them all many times at weddings. When there is no wedding planner the photographer kind of fills that role too...haha. I'm pinning this. :-) Thanks for sharing. 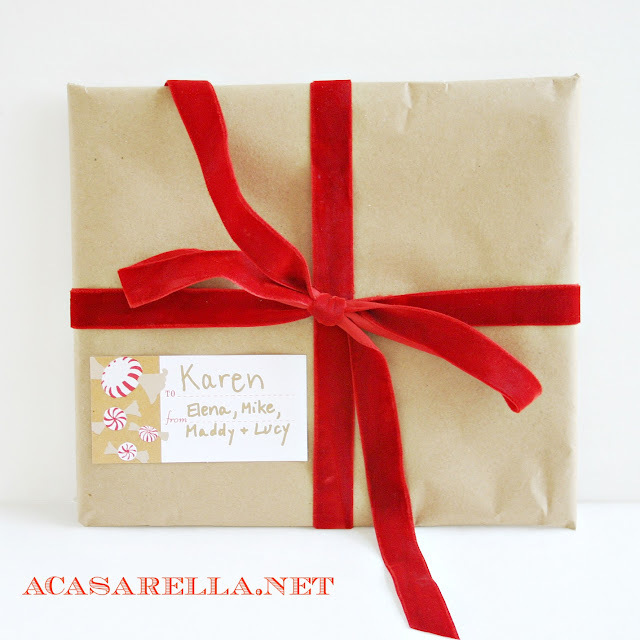 I'm visiting from http://www.artistic31mama.com and the Sew Crafty Angel blog party. Good morning I am visiting from southern charm! I love your idea! 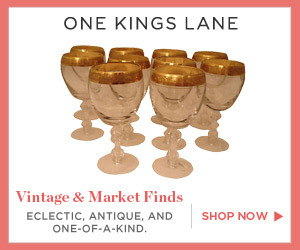 I have done several weddings and I have to say this is a wonderful thing to incorporate! I hope you will visit me at southern charm and want to follow me back! Have a great day, Nicole! LOVE IT! I'm getting married in May so I'll have to keep this in mind. Love this! I've been looking at some of the pre-assembled kits for my best friend's upcoming wedding, but I like this one better. I like all the other tools, especially the disposable toothbrushes! This is such a great & super crafty idea! 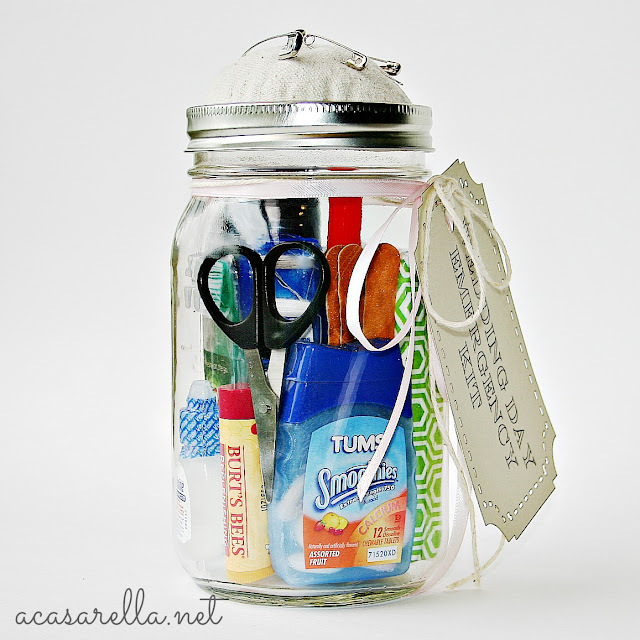 Thanks again for linking up for Craft With What You've Got! What a brilliant idea - love it! Such a fab post - I've pinned this and featured you at this week's Empty Your Archive party. Perhaps some baby powder for chafing legs caused by the stress sweat,(in a little baggy to fit better, a nail file, and some hemorrhoid cream to get rid of those puffy eyes from the crying that is bound to occur several times throughout the day. I love this! What size jar did you use? I think these would also be awesome to have in the bathroom for guests at the wedding. Pinning! OMG!!! Found you via the SITS linky for diy and soooo happy I did. I am charged with finding something blue for my niece's upcoming out of town wedding which I'm not actually going to as just for immediate family. I love mason jars, especially blue mason jars and I am putting this together this week. You made my day!!! I could not think of anything else blue as she didn't want a garter belt; has earrings and didn't want a blue ribbon anywhere. Love it! Great gift! I think I'd include a tampon, because someone's going to need it! 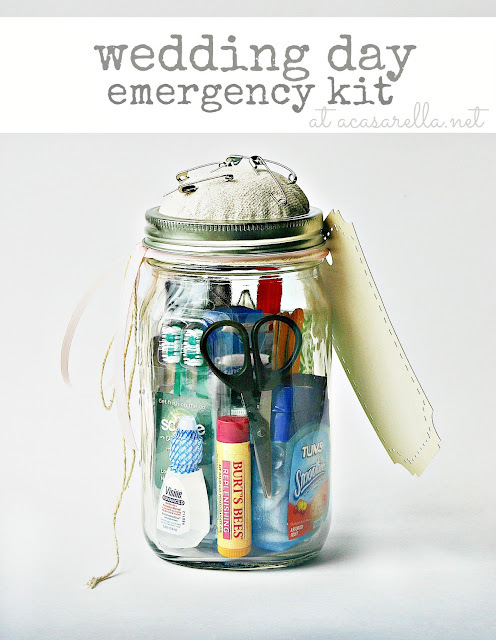 Truly a gorgeous Mason jar wedding kit. Happy to find this wonderful kit for wedding decorations. We have booked one of iconic New York wedding venues for my sister’s wedding and was looking for such decor stuff. Wonderful! I'm so glad you like it!